1.2.1 Is my motherboard compatible with unRAID? Please use this page with caution! It was updated much more in the days of v4 and v5, has seen little updating since the advent of v6. That means many hardware recommendations may be obsolete. The following list is compiled by the unRAID user community. While it is mostly accurate, it is not definitively so, as it cannot be guaranteed that users have the time, expertise or diligence to test and report back all aspects. It is recommended that if you are using this list, you do so in conjunction with heavy use of the forum. Although boards are listed here by name, compatibility is actually determined by the Linux kernel with the chipsets onboard. Chipset info may not be listed for all boards yet. But if you are looking at a board that is not listed here, check to see what are its major chipsets (Northbridge, Southbridge, network controller, disk controller(s)), and if they are listed below, or are on boards that are listed, then the chances are very good that the board is fully compatible. A voluminous source of motherboard specs is here, on the AVS forums, commented on here. Users are starting to add motherboard info with compatibility grades to the Personal Text field of their forum posts, which appears on the left side of the post, under the post count. For more information, see this thread. Wondering how to add this info? See this post. Also check user sigs (signatures) within the forums for motherboard and other build information. Their actual build may be listed, or a link entitled My Rig which should take you to detail about their system. And check the Pimp Your Rig forum thread for user builds with pictures. All unRAID users are invited to add their working boards here, to help others. We recommend you also add a new topic to the Motherboards forum, with your board as Subject heading, and listing more details of your build. Others are especially interested in the CPU and RAM choices you have found to work, as well as your power supply, CPU cooler, fans, addon disk controllers, disk drives, case, etc. Additional links to the manufacturer's product page and a mainstream vendor's product page are always appreciated too. And any special build tips or BIOS settings changes are always helpful. The first level should require at least 3 drives (limit of free license), should have successfully computed parity, and should have successfully checked parity. A syslog should be posted to make sure there are no nasties that might point to compatibility issues. (The syslog will also document parity check performance). The second level should be a user with at least 6 drives (limit of Plus license) that has run for a month without a power down, had a successful parity check at the beginning and end of the month. A syslog should be posted here for that period. During this period at least 10% of the array size should be copied to and from the array. The third level would be a user that has had 13+ drives (including a cache disk), that has run for two months without a power down, has successfully parity checked at least 3 times (start, middle, end) and has posted a good syslog for that period. During this period at least 15% of array size should be copied to and from the array. The syslog(s) will provide some evidence of good functionality, and running the parity checks will establish good habits going forward. Those looking to make purchase decisions will have more to go on than a casual statement of "it works perfect." When verification is received that a given board has passed the outlined level a check mark (✓) will be added and a link back to the thread as proof of the completion. IMPORTANT! The boards listed here have been added by users like you. They were found to work with their specific set of drives, addon controllers, CPU, and RAM, and are not guaranteed in any way to work with other controllers, CPU, and RAM. They very likely have not tested all features of the board, so it is possible that a board listed here as compatible, will not prove compatible with your hardware. As negative reports come in, they will be added to this list. Here are some additional thoughts on the 4 classes of motherboards, from well-tested to untested. NOTE: If you own or are considering a Gigabyte board, you need to be aware of the HPA issue. If it is possible, it is highly recommended to update to the latest BIOS of your Gigabyte board and disable the option to backup the BIOS to the hard drive. It is recommended that you sort on 'Date Added', in order to locate current motherboards, those most recently added. Many boards listed below are now obsolete and discontinued. Those without dates should be considered very old. Sort by clicking twice on the little box with 2 triangles, at the bottom of the 'Date Added' column header. Note to editors: if possible add virtualization info (eg. 'Supports VT-d' etc). Perhaps in future we should add another column for it. A great resource for Xen capable setups is here. Motherboards listed there are tested for VT-d support and PCI passthrough, and the reports include the CPU and other equipment used. Please use this section with great caution! It was updated only in the days of v4 and v5, has seen almost no updating since the advent of v6. That means most motherboards here may be obsolete, impossible to find, and are probably insufficient any way for a v6 system with Dockers and virtualization. 2007-05 ✓✓ 9 1 2 ? Realtek RTL8111B Intel LGA 775 P965 Express ICH8R no ? ATX Manufacturer, Newegg, forum post 1, forum post 2, forum post 3, forum post 4, forum post 5, Most SATA ports, but check forum, many support requests. Upgrade BIOS to latest. 2012-01 ✓✓ 7 1 1 ? Realtek RTL8111e PCIe GB Lan AMD FM1 AMD A75 F75 Hudson-D3 Radeon HD6000 yes ? ATX Manufacturer, Newegg, forum post, PCIe x16 works with saslp, Pcie x16 2.0, Pcie x4 2.0, PCI, HDMI, Dport, VGA, FM1, Non-ECC DDR3 1866 Max 64Gb, USB2.0, USB3.0, Boot from USB2.0 Ports under lan connection. 2010-03 ✓ 9 1 2 ? NVIDIA nForce 590 SLI MCP (Marvell PHY) AMD Socket AM2 nForce 570 SLI MCP NA no ? ATX Manufacturer, NeweggForum Post 1, Only six onboard sata ports work currently, dual PCI-X, PCIe X16 and PCIe x1 slots. 2011-03 TBD 6 0 1 ? Gigabit LAN AR8131 AMD Socket AM3 AMD 780L AMD SB710 yes ? µATX Manufacturer, Newegg, *Issues with NIC onboard LAN. Works well for some users if using cheap PCI LAN Card. 2009-03 ✓✓ 4 0 1 ? Atheros AR8121 Intel LGA 775 G31 ICH7 yes ? µATX Manufacturer, Newegg, forum post 1, Onboard NIC supported as of 4.5beta? (tested/working in 4.5beta6). Rev. 1 is OK.... Rev. 2 is incompatible with unRAID! 2009-10 ✓✓ 6 1 1 ? Marvel 88E8056 AMD AM3 Geforce 8300 Nvidia MCP78u yes ? µATX Manufacturer, No Newegg Link, forum post 1, PCI-E x16 works with SATA card, 16x PCI-E, 1x PCI-E, HDMI, DVI, VGA, AM3, PCI-E v2.0, HT 3.0, DDR2 1066, bios 1.6 needed. 2010-08 ✓ 4 0 1 ? NVIDIA nForce 430 MCP AM3/AM2+/AM2 NVIDIA nForce 430 MCP NVIDIA GeForce 6100 yes ? mITX Manufacturer, Newegg, forum post, PCIe x1, . Is my motherboard compatible with unRAID? As of September 10, 2010, only Gigabyte boards are affected by the HPA issue. This of course may change in the future. Is your motherboard made by Gigabyte? If so, you need to check to see if your motherboard has an HPA 'feature'. This 'feature' (or curse in the unRAID community) can make your motherboard incompatible with unRAID in a very subtle and nefarious way. You can read more about HPA here. HPA goes by many names, such as 'Save a copy of BIOS to HDD' and 'Backup BIOS Image to HDD'. Look around in your board's BIOS for something like that - it is generally in the 'Advanced BIOS Features' tab. If you motherboard has HPA enabled by default, this is very bad. Try upgrading the BIOS. If the most up-to-date version of the BIOS still has HPA enabled by default, then the motherboard is incompatible with unRAID. Throw it on the ground. Actually, don't, because it will most likely still work just fine as a desktop, HTPC, or any other purpose - just not for unRAID. If the motherboard has HPA disabled by default, then it is most likely compatible with unRAID. Most Gigabyte motherboards manufactured in 2009 and later have HPA disabled by default. To be doubly-extra sure, you can perform this simple test - shut down the computer/server, disconnect the power supply, and clear the CMOS (either by removing the CMOS battery for 30 mins or more, or CAREFULLY connecting the two Clear_CMOS jumpers on the motherboard with either a flathead screwdriver or a jumper). After clearing the CMOS, boot into BIOS and see if HPA is still disabled. If it is, you are good to go. If not, try updating the BIOS and running this test again. If the motherboard has no HPA feature, then it is likely suitable for use with unRAID. Is you motherboard made by a manufacturer other than Gigabyte? Chances are it is fully compatible with unRAID. The fact is that most modern (circa 2008 or newer) motherboards are fully compatible with unRAID, it is only Gigabyte that forces you to take extra caution. 1) Obtain an empty USB flash drive, or backup the data off of one you are using. You will be erasing everything on this flash drive during this procedure. 3) Boot the motherboard in question from the unRAID flash drive. This may require changing your boot order and/or setting the flash drive to an emulated mode (such as HDD or FDD) in BIOS. 4) Wait for unRAID to fully boot until you see 'Tower Login:' on the console screen, and/or you hear two beeps in quick succession. 5) From a different computer that is on the same LAN and workgroup, point a web browser to http://tower. If you see the unRAID web management screen come up, skip to step 7. 6a) Back on the unRAID server, log in (default login is 'root', default password is blank). 6b) Type 'ifconfig' and press Enter. 6d) Back on the other computer, point your browser to http://192.168.0.100, substituting in your server's IP address. 6e) If you still don't see the unRAID web management page at this point, seek help on the unRAID forums. 7) As long as you can see the unRAID web management page, chances are very good that your motherboard is compatible with unRAID. 8) This step is optional, but while you're in here you may as well do it. On the unRAID web management page, click over to the 'Devices' page. You should see your flash drive's GUID. Save this code somewhere. If you ever want to register that flash drive with unRAID (meaning buy the Plus or Pro versions), then you will need to send this GUID to LimeTech. DO NOT DO ANYTHING ELSE ON THE DEVICES PAGE. DO NOT ASSIGN DRIVES. DOING SO WILL ERASE ALL THE DATA ON YOUR DRIVES. 9) When you are satisfied, click back to the 'Home' page. Click 'Power Down' to cleanly shut down unRAID. Number of SATA ports - 6+ is ideal. Generally speaking, the more the better. However, some motherboards achieve 8 or more SATA ports by splitting the load across multiple controllers. Generally this is fine, but there have been a few cases in which one of the controllers is incompatible with unRAID. If you have one of these motherboards, seek help on the forums. If the board has >6 SATA ports, you should check how they are linked to the CPU. The DMI (Intel) or UMI (AMD) could develop into a bottle neck. Check the second half of this post for more information. Onboard video - A motherboard with onboard video is ideal. This means that you don't have to waste any precious PCI or PCIe expansion slots on a video card. It will also save you power and money. The quality or speed of the onboard video doesn't matter, after all it will only be displaying text. If your motherboard does not have onboard video, it is highly recommended that you use a cheap PCI-based video card, preferably one that is passively cooled (purchase link needed). You want to save your faster PCIe slot(s) for expansion cards. Again, the video card only needs to display text, so you don't need anything fancy. Onboard Gigabit LAN - a.k.a. GigE. The motherboard's specs should list 10/100/1000 for the network interface controller (NIC). A list of known working NICs is here, but even if yours is not listed it will likely work. Just try it. If your onboard NIC doesn't work (or if your motherboard does not have an onboard NIC), then it is highly recommended that you use an Intel PCI-based Gigabit NIC (purchase link needed). At least one PCIe x4 or faster slot - The more the better. Each PCIe slot that is x4, x8, or x16 will allow you to use an add-on card, such as the SuperMicro AOC-SASLP-MV8, to expand your server past the onboard SATA ports. At the current time, each PCIe x4 or faster slot can support up to 8 SATA drives. PCIe x1 slots can support up to 2 SATA drives without sacrificing performance. PCI slots can support 1 SATA drive without sacrificing performance (multiple PCI slots often share the same PCI bus, so having multiple PCI slots doesn't necessarily mean that you can support multiple drives with them). Generally speaking, you want to avoid using the PCI bus altogether, stick to the PCIe bus as it is much faster. Small Form Factor - MicroATX (a.k.a. µATX) is currently the sweet spot between size, expandability, and price. Smaller motherboards help keep your case clean, which can help with cable organization, airflow, etc. However, larger motherboards also have redeeming features, such as more SATA ports or multiple PCIe slots. The ideal board size will vary depending on the type of server you want to build and how many drives you want to support. Flexibility with other core components, such as RAM and CPU - Certain motherboards, such as SuperMicro boards, are very picky about the RAM and CPU that they use. This means that if one of those components were to die, you may have a harder time finding a replacement part. You may want to use a motherboard that can take multiple RAM speeds (DDR2 400 - 1066, for example) and that can handle multiple CPU sockets (AM2, AM2+, and AM3 for example). This will help you find replacement parts and upgrades cheaply and easily. Single and multiple core processors are fine. As of unRAID v4.4, multiple core processors are fully supported. For versions of unRAID through v4.3.3, multiple core processors work fine, but only one processor is used. As of unRAID v6.0, a 64-bit capable CPU is REQUIRED! And it's recommended to have 2 or more cores, especially if you want to try virtualization. Recommend 2 equal sticks of 512MB, 1GB, or 2GB in order to run in dual-channel mode, speed matched to the FSB of your CPU. unRAID v4 and v5 will run in 512MB just fine for normal serving of media files, but if you plan on running add-on applications (especially those that use a lot of memory), 1GB, 2GB, or more is better. unRAID v6 should have 1GB at least, more for addons, much more for virtualization. There have been several unRAID users who were unable to perform a file-system check with reiserfsck on a 2TB disk with only 512MB of ram, because it would terminate with an out-of-memory error. Even though unRAID can serve files using only 512 MB, it may be necessary to add more memory to run certain diagnostic programs on a full 2TB drive, when the file system is corrupted. When choosing to go with an outdated PCI or PCI-X card, check the available bandwidth of the respective interface! Modern drives provide data rates > 100 MByte/s. Avoid plugging multiple drives to a PCI Bus bottleneck! For an excellent report on comparative controller performance, with "real world" bandwidth measurements of frequently used controller cards, see Sata/SAS controllers tested (real world max throughput during parity check). 4 ? ? SATA I/II ? 4 PCI - SATA I ? 8 PCIe3.0 x8 SATA III SAS2308 same card as 9207-8i but in IR mode; only available through OEMs; firmware for IT mode available ; flash to IT mode not yet confirmed! 8 PCIe3.0 x8 SATA III SAS3008 crossflashed to 9300-8i IT mode, possible driver issue in unRAID ? 8 PCI-X - SATA II Marvell Hercules-2 Rev. C0 Works out of the box (mobo SuperMicro X7SBE, H8DME-2, unRAID 5.0, 6.bx), does support drives > 2.2 TB . '*Note: Cards with a "*" are recommended (27.03.2018). Most of them are OEM cards shipped with RAID firmware and need a firmware update, to a non-RAID version (a.k.a. IT-mode) to run unRAID. If you consider flashing another firmware as too challenging, pick a "known working out of the box" card. The section about crossflashing controllers might be of interest. 2 ? ? SATA II SiI3132 SiI3132-based cards not recommended- see footnote! 8 PCIe x8 SATA III Marvell 88SE9480 DO NOT USE with 6.1.x+, upon reboot there will be parity sync errors. 8 PCIe x8 SATA III Marvell 9480/9485 DO NOT USE with 6.1.x+, upon reboot there will be parity sync errors. PCIe x8 cards can be used in PCIe x4 slots (electrical) if they fit mechanically. Of course, the performance will be just as PCIe x4 cards due to the limited bandwidth. The unRAID server software boots from a USB flash drive, 128MB or larger. If you plan on enhancing your unRAID server with addons, then 512MB or larger is recommended. If you think you may want to build your own custom Linux kernel, then 1GB or larger is recommended. There is some evidence that choosing a USB flash drive much larger than you actually require will increase its life span as wear will be spread out over the larger device. It is also believed that branded USB flash drive will generally turn out to be more reliable than a generic unbranded ebay purchases. If possible choose a USB flash drive that features wear leveling as it may under certain circumstances increase device longevity (unconfirmed). To use the free Basic version of unRAID, no GUID is required. To use a registered copy of unRAID, whether the Plus or Pro version, the flash drive must have a valid GUID. A GUID is like a product serial number, but does not actually exist on the flash drive. It is constructed by the Linux kernel from the flash drive's manufacturer, product ID, and internal serial number. The foolproof way to check if your device has a usable GUID, is to download the UnRAID software, extract it to your flash drive (USB Flash Drive Preparation), boot unRAID in a test machine, go to the Web Management page (top of the UnRAID Manual), and just select/copy/paste the GUID from the Devices tab. If the last 12 characters of your Flash GUID are all zeros, then it does **not** have a serial number and you can **not** register it. You can also utilize a Microsoft utility UVCView.mspx from within Windows to determine the USB device's GUID (which consists of idVendor+idProduct+0000+iSerialNumber), but this is unofficial, and should not be used for registration. Note: Lime Technology strongly recommends you obtain your Flash GUID via the Devices page. This not only ensures the correct GUID, but also that your hardware platform can boot from Flash and run the unRAID OS. To save PCI Express slots, consider using a cheap PCI video card, like this one, $10! As of unRAID v6.0, a 64-bit capable CPU is REQUIRED! 2 or more cores is recommended! This should be considered when following one of the listed (outdated) builds! The recommended case will support up to 3 of these units, for a total of 12 drives. If you prefer the same hardware used by LimeTech, they are here: ICY DOCK MB454SPF-B Multi-Bay Backplane Module (4-in-3). The cages are far more expensive and not necessarily a better design. The recommended case will support up to 3 of these units, for a total of 12 drives. However, the case comes with an internal 4-in-3 hard drive cage, so only two of these units would be necessary to achieve a 12 drive capacity. Note on hot swap bays: Many computer cases including the recommended CM-590 have metal tabs separating each 5.25" drive bay. Many hot swap drive cages do not accommodate these metal tabs. 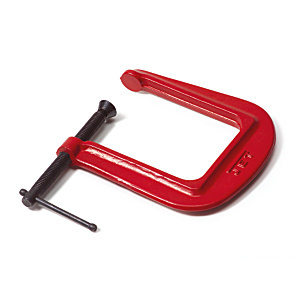 Most unRAID server builders just use a deep C-clamp like this or a pair of pliers and a small hammer to bend/flatten these tabs out of the way. However, if you do not want to bother with this type of case modification, then you should shop for a hot swap hard drive cage that does accommodate these tabs, such as the SNT-3141 SATA-II Hot-Swap 4 Drive Enclosure. It is best practice to avoid buying multiple drives from the same manufacturer at the same time. Doing so increases your risk of a multiple drive failure, a situation from which unRAID cannot recover. Always check the Good Deals Forum for current sales. For some pictures of Budget Boxes in action, see kizer's server, kansur's server, and guiri's server. Note that none of these use the exact configuration listed above, but all are very similar. This section covers how to configure your new Budget Box the first time you boot it up. You should follow the steps in the order below, otherwise this may not work properly. Note that these instructions are for the original Budget Box motherboard (the Biostar A760G M2+), but the settings are likely to be similar for all future Budget Box motherboards as well. First of all, if you are using an Unraid version before 4.7, make sure all your WD EARS have jumpers installed before booting your server! If you are using an Unraid version 4.7 or later, you can leave your hard drive jumperless. Prepare your USB Flash drive for unRAID as described in the instructions here. Your bootable flash drive must be plugged into the server before the rest of this will work. Set the 1st Boot Device as the USB Flash drive. Finally, press F10 to save your changes and reboot the server. The next time you turn on your server it should boot into unRAID automatically. All of the following components are available through online and brick and mortar retailers in Australia. All prices are in AUD. I don't know if this board is available in AUS or not, but the motherboard that was previously here has been demonstrated to be incompatible with the Supermicro AOC-SASLP-MV8 card, see the Hardware Known Not To Work section below for more info. You can forgo this option as the case only allows for one of these. To keep things on a budget scale, I'd suspect most would build this server without them and would use the Cooler Master STB-3T4-E3-GP 4-in-3 Device Module Hard disk Cage. Expansion Card: If you plan to use more than 6 SATA drives, you'll need to buy a compatible SATA RAID controller ($40 gets you a 4 Port SATA I RAID controller, about $70 gets you a 4 PATA II RAID Controller. PCIe would retail for about $100+ 4 Port card). Western Digital seem to be quieter and better for value to date. All of the following components are available through online and brick and mortar retailers in the UK. All prices are in GBP. If you prefer modular cables then the Corsair CMPSU-450HXUK is an option, but is a little more expensive. Note: On the WD EARS drive, you will need to install a jumper on pins 7-8 on this drive before installing it in your unRAID server. The recommended motherboard can support up to three of these expansion cards, one in each PCIe slot. However, don't bother buying a third card yet as currently unRAID cannot support that many drives. Two of these cards are required for full 20 drive support. Separate SAS or SAS to SATA breakout cables are required. Use a SFF-8087 Reverse (SFF8087OCR) SAS cable to connect the Norco 4220's internal SAS backplanes to the motherboard's onboard SATA slots (again, each cable supports 4 drives). Supports 20+ drives, but it is recommended that you use primarily green drives to keep power consumption low. The fans included with the Norco 4220 are very loud. If you want a quiet server, buy the 120mm fanplate and three good quality 120mm fans (look for fans with low noise (dBA) and high airflow (CMF). Noctua and Delta are good brands. The recommended motherboard can support up to two of these expansion cards, one in each PCIe slot. Use a Reverse (SFF8087OCR) SAS cable to connect the Norco 4220's internal SAS backplanes to the motherboard's onboard SATA slots (again, each cable supports 4 drives). You may need to flatten the small tabs that separate the 5.25" bays depending on the 5-in-3 cage you choose. The recommended case will support 1 of these units, for a total of 5 drives. For an example of the miniBox in action, see this thread. Note that I do not recommend the hot swap drive cage I used there as it does not have very good airflow. For more experimental and prototype builds (largely untested) that are generally budget-minded and require little to no case modding, see Raj's prototype designs. For a compact design involving extreme case modding, check out Queeg's TinyTen (full thread here). For more ideas on server designs and beautiful cable management, look no further than the Pimp Your Rig thread. Verbatim Store'n'Go Professional. Strange problems with the key being recognized, but not automounted during boot. Alien 1GB. Recognized but syslinux gives kernel linux not found error. No obvious fix, stay away. Western Digital AAKS drives. Mixed reports (see here and here). In some scenarios spindown of these drives completely hangs unRAID, while numerous other users report success with them. Consider other options if buying new drives, and thoroughly test if using an existing AAKS drive in your array. Motherboards based on the nForce2, nForce3, and nForce4 chipsets are not recommended. They are notorious for data corruption issues, IDE detection issues, and incompatibilities with certain hard drives. This can result in failures to boot, corrupted files, corrupted network transfers, inability to use certain drives, etc. Many owners of these boards have wasted many days trying to get reliable operation, without success, and there are a number of very long threads about these problems on the Internet. It is the opinion of some that the Asus A8N family of nForce4 boards are the only ones that may be safe to use, possibly because Asus was the only one to put a tremendous effort into putting workarounds for the problems into the BIOS. For further discussion and links for research, see this thread. Boards based on later nForce chipsets, from nForce5 and higher, are fine, although may require small workarounds to operate well, such as special boot options, if using versions of unRAID prior to v4.4 final. nForce boards are generally very good performers, with very good feature sets. The ASUS M4A785-M has been demonstrated to be incompatible with the Supermicro AOC-SASLP-MV8 card. See this thread for details. This board is also finicky about which USB Flash Drives it will and won't boot from. This board is only appropriate for a build with very limited expandability (6 drives or less, or 10 drives or less if one or more 2 port PCIe x1 SIL3132 cards is used in conjunction with the 6 onboard SATA ports). As of May 2011, the Realtek 8111E NIC has been established as being very troublesome in the unRAID environment (see this thread for an example). While it is possible to make this NIC work, it is generally recommended that it be avoided if you want a hassle-free build. There have been no other widespread reports of problems with all the other versions of the Realtek 8111 NIC. Norco Rackmount cases use high quality 3.5" & 2.5" drive trays with option to close off airflow in empty bays. Trays are interchangeable with Norco SS-500, SS-400, and SS-300 drive cages. Antec 300  - a popular starter case, supports only one 4-in-3 or 5-in-3 HDD cage. Except for the new Diskspeed section below, this section is hopelessly out of date! The largest drives are 2TB! The drive lists below are NOT comprehensive, just a few recommendations. There are many more drives that work well with unRAID. Which 2 TB drive should I buy? - very old! Which 3 TB drive should I buy? - very old! The one drive known for worst unreliability is the Seagate ST3000DM001, popular because it's cheap and fast. The ST2000DM001 and ST4000DM001 are better but not great. Seagate models since then appear to be MUCH better. Recent Hitachi's (HGST) have the highest reliability reputation and good specs, but cost more. These drives used to have known data corruption issues. While a firmware patch has been released to correct the issue, at present there is no way to verify that the firmware patch was successfully installed. See this thread for details. Note: All EARS drives require a jumper on pins 7-8 if used with an UnRAID version older than 4.7; discussion. This is a collection of drives benchmarked with the diskspeed utility provided by jbartlett. Please feel free to add your drives. Temperature shall reflect steady state under load with no active cooling - during preclear is a good opportunity to grab them. When using backplanes of the x in y type, make sure to provide a proper cooling solution. Server grade drives usually generate a lot of heat that can only be removed on the max fan setting. The noise level might be accordingly high! Populating those backplanes with "green" drives might be a solution. Connectland Mobile Rack for 3.5 inches SATA HDD  - generic and inexpensive, these cages perform surprisingly well. Good airflow over the drives. Large case fans are enough to keep drives cool, no dedicated drive cooling needed. These Norco drive cages use high quality 3.5" & 2.5" drive trays with option to close off airflow in empty bays. Trays are interchangeable with Norco rackmount cases. MonoPrice seems to be the recommended source for all cables and cable accessories. See this for some discussion of cable quality. Do not trust fan specifications as listed by manufacturers as invariably they are misleading or completely incorrect. Look for independent reviews.